The Airbus A380 is the world's largest passenger jet, and one of the quietest on which to fly. And with 139 of the monstrous jets now in service, it continues to come into its own. This week alone, new A380 service was launched to two U.S. cities by three different airlines. Texans like to brag that everything is bigger there, and Dallas-Fort Worth (DFW) Airport kicked off A380 service this week with Qantas on Monday and Emirates on Wednesday. Qantas already served DFW with a Boeing 747-400, which the airline is phasing out. This route is currently the longest in the world. Emirates also served DFW prior to this week, but with a Boeing 777-200. The Emirates upgrade doubles the DFW to Dubai seat capacity. Interestingly, although Qantas was first to launch their A380 service from DFW, Emirates actually announced their A380 upgrade first. Then Qantas came in and announced their start date would be two days before Emirates. DFW Airport had to spend $4.5 million to upgrade their international terminal to make room for the whale jets. 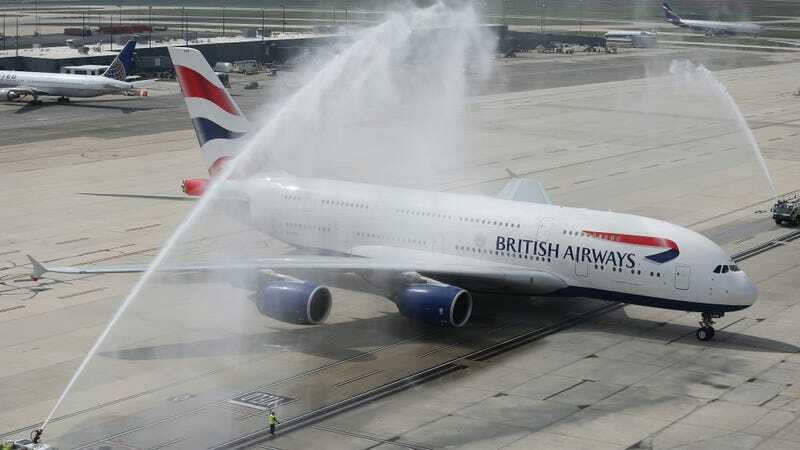 On Thursday, British Airways began A380 service from London Heathrow (LHR) to Washington Dulles (IAD), linking the capital cities of both nations. The airline also has Boeing 747 and Boeing 777 flights between the two cities, and has introduced an upgraded 10,000 square foot lounge for its premium class customers flying from IAD. British Airways will initially have 5 A380 flights per week on the route, but will increase to daily frequency by the end of October.